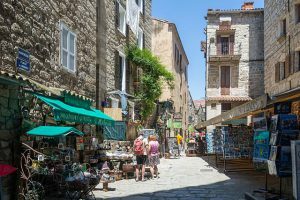 With over 1200 miles of nature trails, over 600 miles of stunning coastal scenery, including long stretches of white sand beaches, glitzy seaside towns, fortified cities built atop cliffs and hills and ancient villages dotting the mountains of the interior, Corsica promises to deliver much to the visitor or adventurer. From the sea to the snowcapped mountains, Corsica’s wide variety of landscapes knows few rivals. 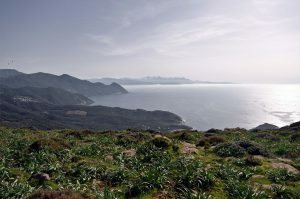 Almost half of the island is part of a nature preserve – the Parc Naturel Regional de Corse. 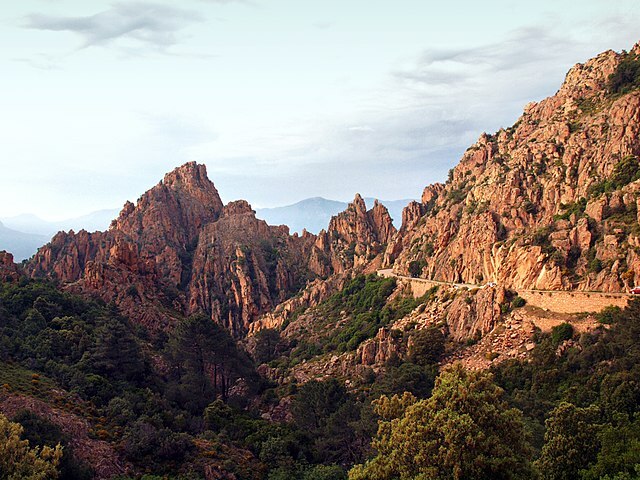 One way to experience the breathtaking scenery and rugged terrain of Corsica is to hike the GR20 trail, which crosses the island from North to South. The hike is, however, quite possibly the most difficult in Europe and takes about 12 days to complete. The reward is well worth the effort for those fit enough to attempt it. The rugged terrain, numerous gorges, hilltop villages and unforgettable views promise to deliver an amazing experience. On the other hand, the island is not just for adventurers. Some will prefer relaxing on a sparkling white sand beach, swimming in the deep blue waters of a secluded lagoon, sailing the coast or getting lost in the twisting mazes of streets in old Corsican towns. For a true Corsican experience, head to the spiritual and cultural heart of the island at Corte, the historical capital and hometown of Pascal Paoli. The huge Musée de la Corse, opened in 1997, is located in the Citadel and offers a fascinating glimpse into Corsica’s past. The University of Corsica, founded by Paoli is also located in this picturesque town which clings to a hillside dominated by the citadel. The town of Sartène dates back to the Middle Ages. Surrounded by walls dating back to the 9th century, the entrance to the town is through an arched gateway. 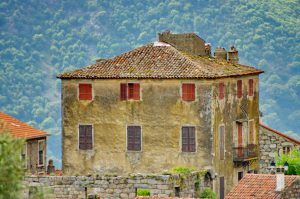 Known as the ‘City of Art and History’, Sartène is another great option for exploring historical Corsica. In fact, it was called the “most Corsican of Corsican towns” by the French novelist Prosper Merimee. The shady town square, Place Porta features several terrace cafes, the Hotel de Ville, a former governor’s palace and the church of Sainte-Marie. For more old world charm, visit the must see citadel town of Bonifacio. Located on the southern end of the island, Bonifacio is less than 7 miles from the neighboring Italian island of Sardinia. Don’t miss the beautiful churches of Sainte-Marie-Majeure and Sainte-Dominique, a Gothic structure dating back to the 12th century. Explore the historic old town and the imposing citadel from which you can find great views of Sardinia by climbing the tower. Bonifacio is the oldest town in Corsica and sits dramatically atop the seaside cliffs of a peninsula. Climb the steep staircase of the King of Aragon, cut into the cliffs, which, by the way, are beautifully illuminated after dark. Not far from Bonifacio is the glitzy port town of Porto Vecchio. Here you can find two of the most popular beaches on the island. Plage de Palombaggia and Plage de Santa Giulia are both located in lagoons, making them protected and ideal for swimming. The Gulf of Porto, on the island’s west coast, is the location of the towns Porto and Piana. Porto is a relatively young town, although it boasts a 16th century Genoese tower, but is located near some of the most remarkable natural scenery of Corsica. The stunning Calanques de Piana, which are red granite cliffs best seen by boat and the Scandola Nature Reserve with its hidden coves offering some of the best scuba diving and snorkeling on the island, as well as some of the most exciting scenery and spectacular coastline, make Porto a very desirable destination. The road from Porto to Piana, which passes by the Calanques is considered by some to be one of the most stunningly beautiful drives in Europe. 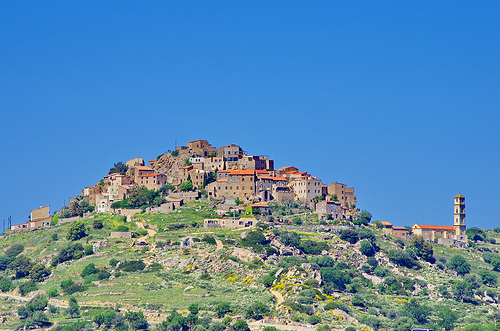 The quaint town of Piana also overlooks the Gulf of Porto and is one of Corsica’s designated ‘most beautiful villages’. 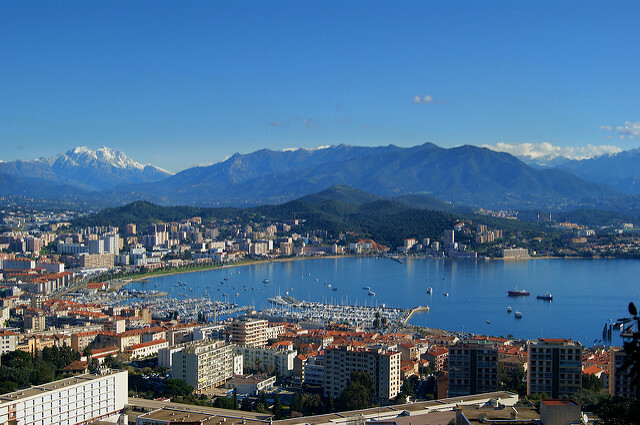 Ajaccio is the capital and largest city of Corsica. Scenically situated on the western coast with the mountains in the distant background, a 16th century citadel, a bustling harbor area lined with colorful houses and cafes and a historic old town, this city has much to offer. A top attraction is, of course, Napoleon’s birth house, the Maison Bonaparte, where Napoleon was born on August 15, 1769. The museum displays period furniture, weapons and family portraits and documents. The Cathedrale Notre Dame de la Misericorde is where Napoleon was baptized. Du Sacré Côur, a painting by Eugene Delacroix distinguishes this beautiful church. The central square – the Place de Gaulle- features an equestrian statue of Napoleon. Restaurants, cafes, museums and a beautiful botanical garden add to the attractions within this strikingly Mediterranean city. Not too far from Ajaccio is Filitosa, the greatest archaeological site of the island. There you can find megaliths and menhirs, carved standing stones dating back to Neolithic times. The excavations, which took 20 years, provide a fascinating and mysterious encounter with 8,000 years of human history. 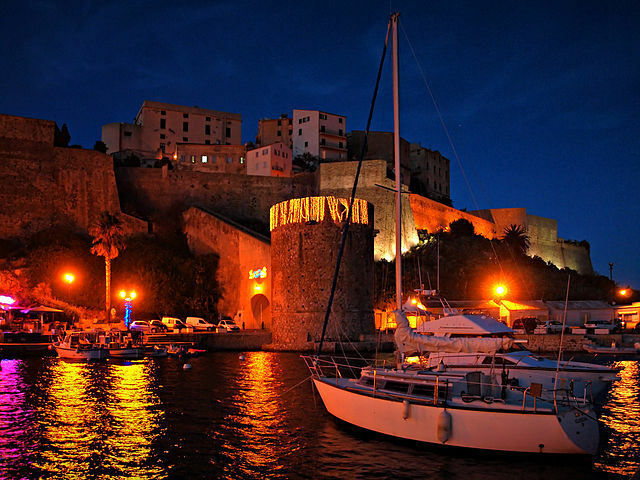 Calvi, which was its own republic during the middle ages, was the most important city during the Genoese Republic. Jutting out into the Bay of Calvi, this city is a popular destination featuring a beautiful marina, an ancient citadel and three miles of beautiful beaches. Although it is not proven, Corsicans believe that Calvi is the birthplace of Columbus. The Maison Colomb, or what is left of it, has a plaque on the wall stating that he was born there. It is also believed that the crucifix in the Cathédrale St.-Jean-Baptiste, located in the citadel, has supernatural powers which succeeded in driving the Turks away in 1553. A highlight of the summer season is the annual jazz festival which takes place in June. Cap Corse is the cape that extends like a finger from the north side of the island. Vineyards, fruit and olive groves, fishing villages and some nice beaches characterize the peninsula. The largest city in this area, and second largest on the island is Bastia. 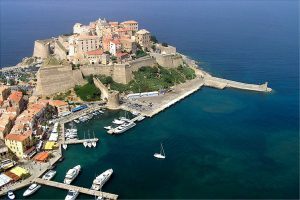 Bastia is the principal port of Corsica and is located at the base of Cap Corse. 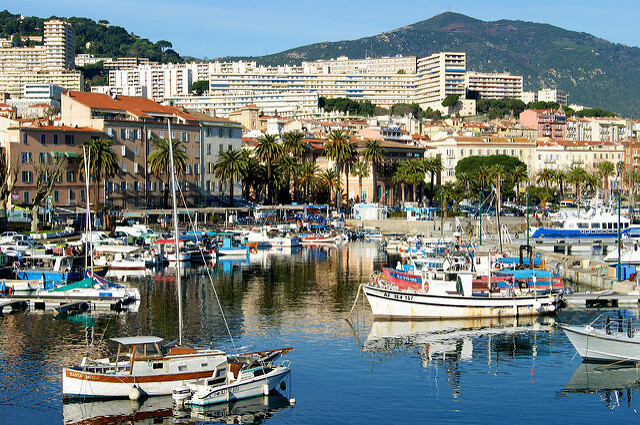 Its old harbor, seafront esplanade, windy streets and quaint old town atmosphere have earned it the nickname ‘Little Marseilles’. The main square is the Place Saint-Nicolas which houses a statue of Napoleon. 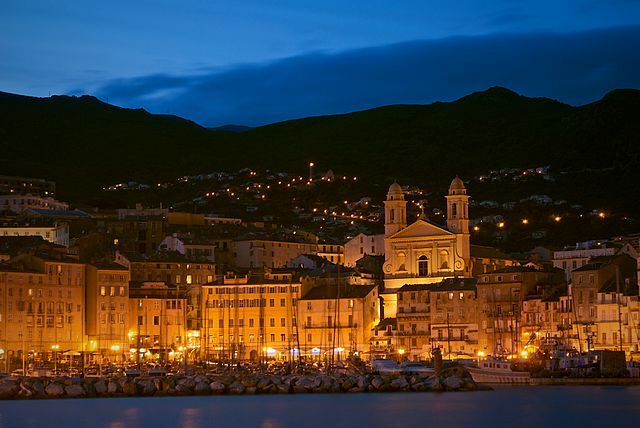 Bastia’s irresistable charm is best enjoyed by wandering the maze of streets in the Terra Vecchia, or old town, admiring the baroque churches and visiting the many boutiques or stopping at a cafe to enjoy a glass of the region’s excellent wine. 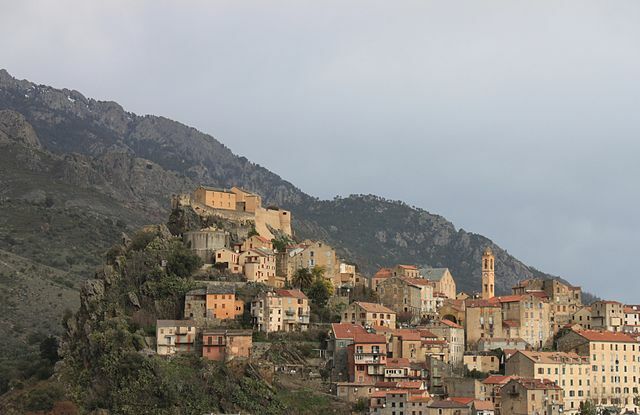 Also located in the northeast region of Corsica is another of the designated ‘most beautiful villages in France’, Sant’Antonino. Perched high on a hilltop, it is often referred to as the ‘Eagle’s Nest’. Enjoy exploring the alleys of this town dating back to the 9th century and the incredible views. There is certainly a lot to see and explore on this beautiful island. We have likely just scratched the surface, as there are countless ancient hilltop villages, a beautiful coastline with beautiful beaches and bays, and the rugged nature of the island’s mountainous interior. There is without a doubt plenty to experience and something to suit every taste.